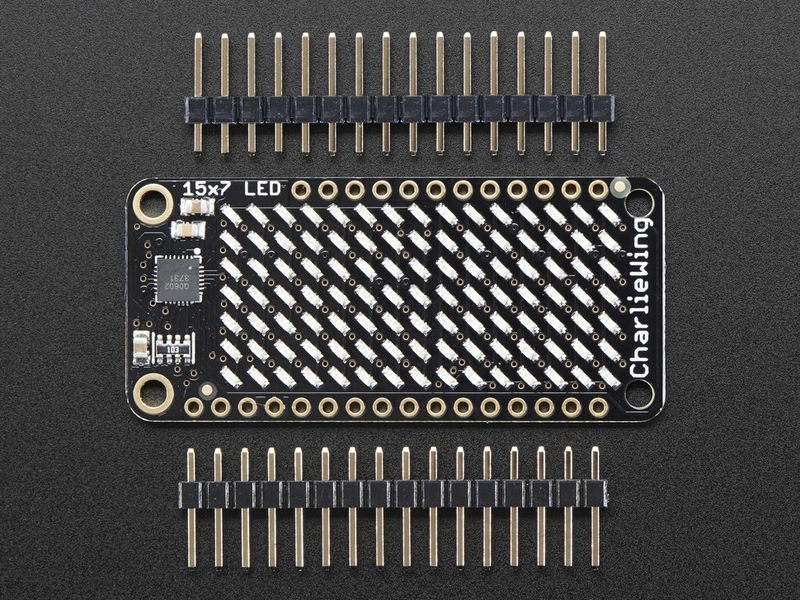 You wont be able to look away from the mesmerizing patterns created by this Adafruit 15x7 CharliePlex LED Matrix Display FeatherWing. 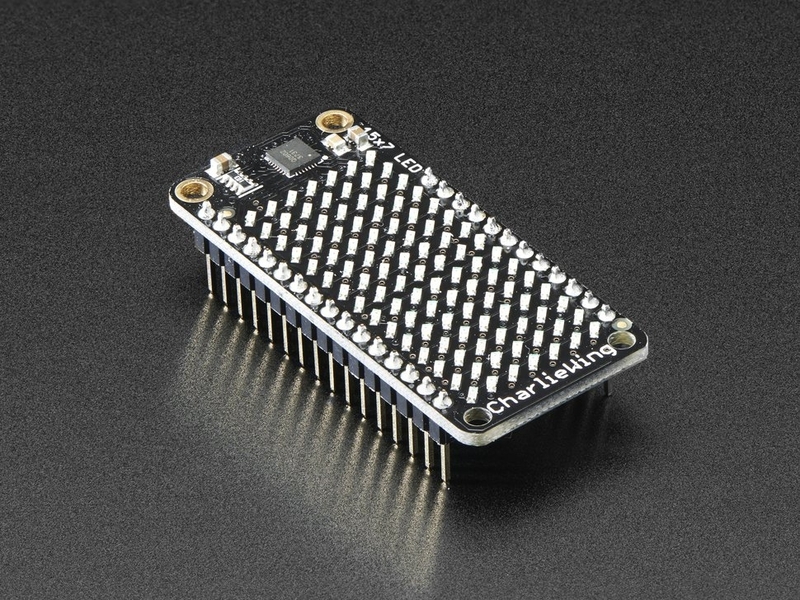 This 15x7 LED display can be paired with with any of our Feather boards for a beautiful, bright grid of 105 charlieplexed LEDs. 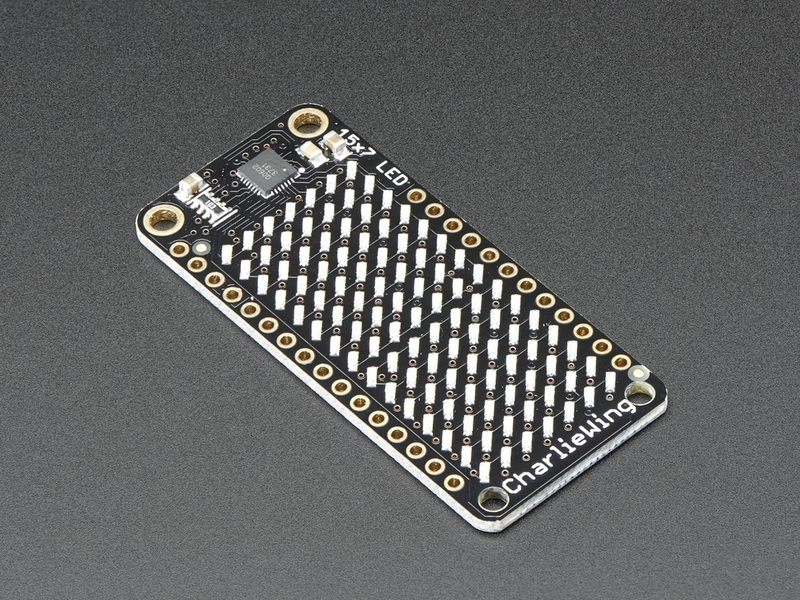 It even comes with a built-in charlieplex driver that is run over I2C. 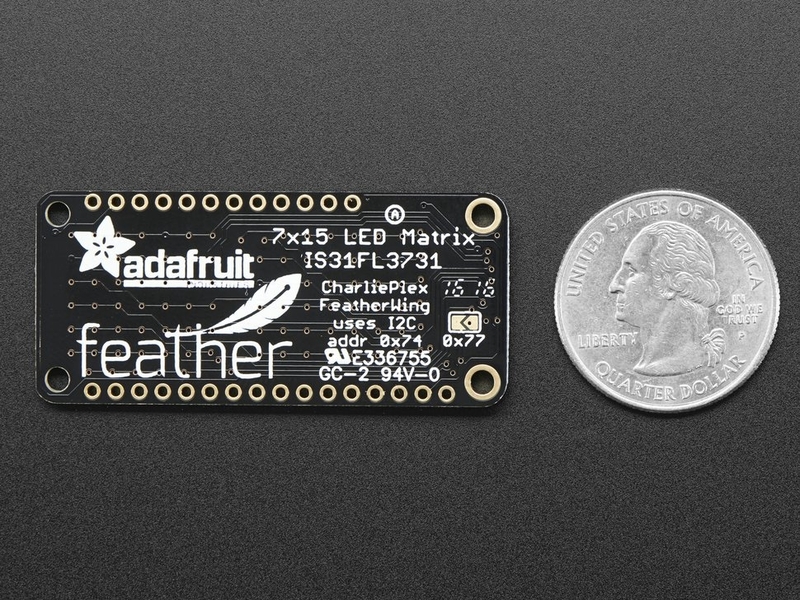 Our graphics library makes it easy to draw shapes, text and bitmaps for some strikingly beautiful LED displays. Check out the tutorial for assembly instructions, arduino example code, pinouts, schematics and more!